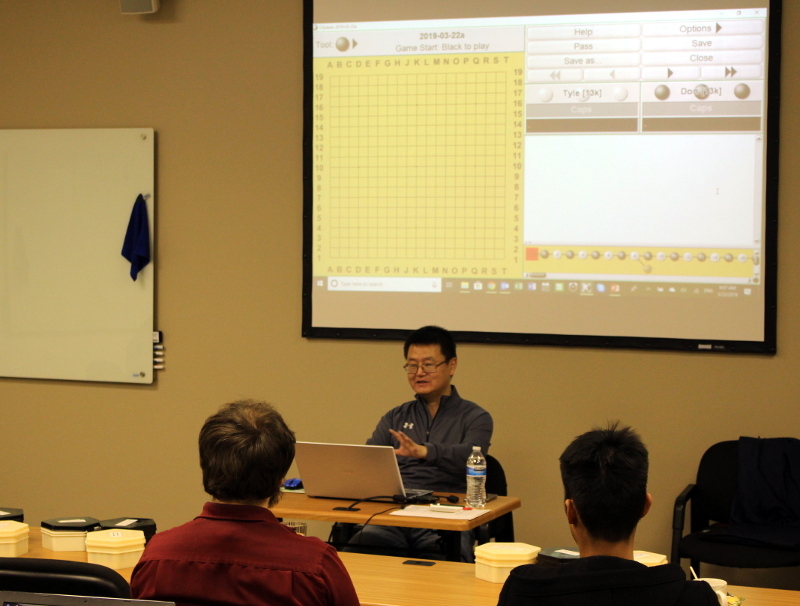 The Eleventh North Carolina Workshop with Yuan Zhou was held March 22, 23 & 24, 2019, in Raleigh, North Carolina. This part of North Carolina is often called the southern part of heaven. We're blessed with a comfortable climate, beautiful natural scenery, honest hard working natives, outstanding universities, progressive businesses, lots of wonderful immigrants, healthcare workers, scientists, writers, and a sprinkling of Go players. 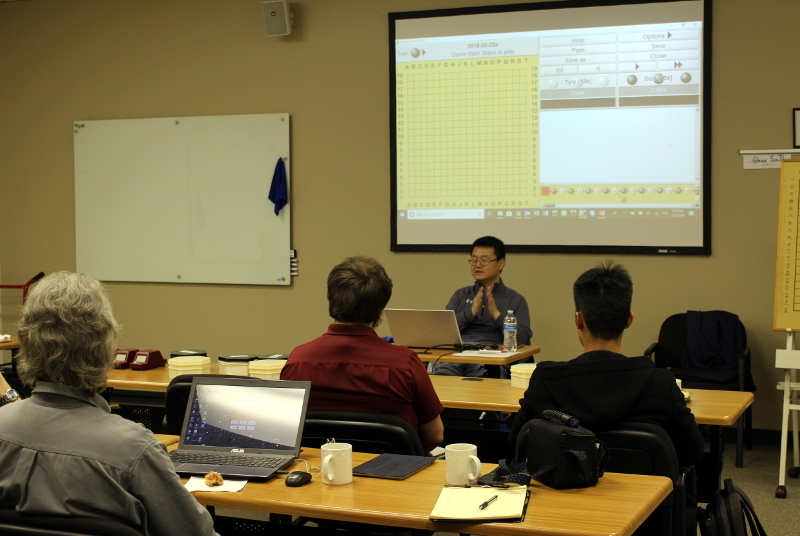 We're also fortunate to be within traveling range of Maryland based Yuan Zhou, one of the nation's leading Go teachers. Laoshi Zhou conducted another of his invaluable Workshops for us last weekend, and attendees were happily educated in this finest of arts. 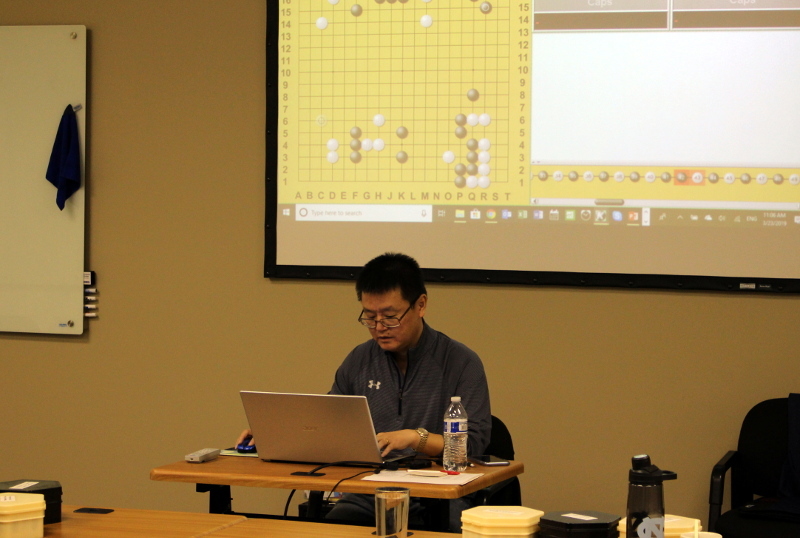 In addition to the usual game reviews, which were very beneficial in themselves, teacher Zhou presented 2 lectures on games from the recently concluded 2019 LG Cup. Describing the young players Yang Dingxin and Shi Yue as "Dragon Hunter" and "Tank Driver" helped us understand the styles of play each player employed, and some of the deeper foundations of the game. Both games were very interesting and shifu Zhou's explanations were enlightening. We were taught much, learned as much as we could, ate well, slept just enough and enjoyed the modern meeting facility arranged by Dale Blann, one of our club members. I can't wait until we do it again!